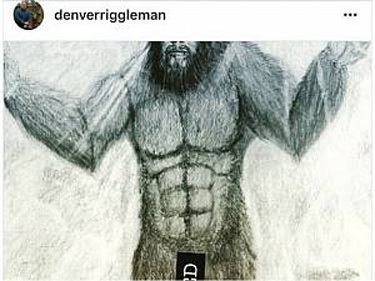 In Virginia’s 5th Congressional District, Bigfoot erotica aficionado Denver Riggleman defeated Olivia Wilde’s mom, Leslie Cockburn (Yale ’74, married to Andrew Cockburn, son of the late British communist journalist Claude Cockburn). If I were still in Virginia, I believe my last residence in Fauquier County would have been in his district. The best item, however, comes from Nevada’s 36th Assembly District. John Hinderaker took the time (which most commentators have not) to look deeper into the equities of the recent confrontation between Nevada rancher Cliven Bundy and the Federal Bureau of Land Management. First, it must be admitted that legally, Bundy doesn’t have a leg to stand on. The Bureau of Land Management has been charging him grazing fees since the early 1990s, which he has refused to pay. Further, BLM has issued orders limiting the area on which Bundy’s cows can graze and the number that can graze, and Bundy has ignored those directives. As a result, BLM has sued Bundy twice in federal court, and won both cases. In the second, more recent action, Bundy’s defense is that the federal government doesn’t own the land in question and therefore has no authority to regulate grazing. That simply isn’t right; the land, like most of Nevada, is federally owned. [86% — JDZ] Bundy is representing himself, of necessity: no lawyer could make that argument. A lot of commentators on the Right discovered that Mr. Bundy lost in federal court and was clearly defying the law, but those editorialists failed to notice that, in a manner not unprecedented in the history of the American West, in Mr. Bundy’s case, the law is in the hands of special interests and is being used to take away what other people own. Nevada became a state in 1864. Why exactly is it, that 150 years later, the United States government is still sitting on 86% of all the land in Nevada? Why wasn’t the grazing land used by Mr. Bundy been sold to the Bundy family generations ago? 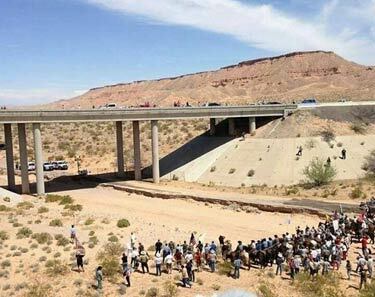 If the Bundy confrontation proves anything, it demonstrates just how past time it is for most federal lands to be privatized. Is Jabba the Hutt a role-model to you? Do your personal fantasies run to inter-species sexual exploitation? A Nevada entrepreneur named Dennis Hof (best known for publicizing a brothel he owns via a reality tv program on HBO) plans to open the “Area 51 Alien Travel Center,” a Sci Fi-themed bordello 90 miles northwest of Las Vegas on Highway 95. Hof has announced that he is hiring Hollywood madame Heidi Fleiss to dream up female alien costumes, make up, and decor. How Did Harry Reid Pull It Out? Byron York explains in the Washington Examiner that union money and gambling industry muscle allowed an extremely unpopular senator to survive a weak challenge. Funded by millions of dollars from public-sector unions, Reid relentlessly attacked Angle from the moment she won the GOP nomination. Many of the earliest attacks went unanswered, forming impressions of Angle so negative that they outweighed the voters’ negative opinion of Reid. And then there was Reid’s organizational strength. Both Reid and Angle held their election-night parties in Las Vegas casinos, Reid in the new Aria complex and Angle at the Venetian. That’s nothing out of the ordinary in Nevada, but the difference between them was that Reid was entirely at home, with the enormous financial power and organizing muscle of the gambling industry and its union allies in his corner, while Angle was relying on votes from people who live far from Las Vegas. Republicans across the country who were hoping for a miracle in this race discovered that raw power wins the day. And bending the rules, too. On election day there were reports that casino giant Harrah’s had worked with the Reid campaign and the unions, particularly the Culinary Workers Union, to herd virtually all unionized employees to early voting stations to vote for Reid. According to a report in National Review Online, one Reid staffer told Harrah’s officials that he would do anything — for emphasis, he wrote it ANYTHING — to get those workers to the polls. By mid-day Tuesday, the Nevada Republican Party had filed a complaint with the Secretary of State’s office. “Employees’ votes were being tracked and supervisors were instructed by top management to personally confront employees to find out why they had not voted,” the complaint said. “Further, the evidence shows that Harrah’s management has continually communicated to employees their concern with electing Harry Reid and not just to ensure that the employees voted for the candidates of their choice.” Such conduct, the complaint argued, violates Nevada law. Things are really not looking good for Harry Reid in his home state. CHARLOTTE MCCOURT Charlotte M. Tidwell McCourt, 84, of Pahrump, passed away July 8, 2010, after a long illness. She was born Dec. 25, 1925, in Wellington, Utah, and was a 40-year resident of Nevada. Charlotte held a zest for life and loved serving her family of five children; 20 grandchildren; and 65 great-grandchildren. She had been the wife of Patrick L. McCourt for 67 happy years. Active in her community, she assisted in many political figures’ campaign efforts. As an active member of the Church of Jesus Christ of Latter-day Saints, Charlotte served as a leader in the Relief Society for over 20 years. She and her beloved husband also served a full-time mission in the Cabanatuan Mission in the Phillipines. Charlotte is survived by her husband, Patrick; children, Pat and Nellie McCourt, Dan and Lanny Shea, Bill and Marsha Sortor, David and Sherry d’Hulst, and Tom and Ann McMullin; and many grandchildren. A memorial service was held Saturday, July 10, at the LDS Chapel, 921 E. Wilson, in Pahrump. We believe that Mom would say she was mortified to have taken a large role in the election of Harry Reid to U.S. Congress. Let the record show Charlotte was displeased with his work. Please, in lieu of flowers, vote for another more worthy candidate. Fortunately for residents of the remote Nevada village, Mormon crickets don’t, reports the Wall Street Journal. The residents of this tiny town, anticipating an imminent attack, will be ready with a perimeter defense. They’ll position their best weapons at regular intervals, faced out toward the desert to repel the assault. Then they’ll turn up the volume. [Mormon] crickets are a serious matter. The critters hatch in April in the barren soil of northern Nevada, western Utah and other parts of the Great Basin, quickly growing into blood-red, ravenous insects more than 2 inches long. Then they march. In columns that in peak years can be two miles long and a mile across, swarms move across the badlands in search of food. Starting in about May, they march through August or so, before stopping to lay eggs for next year and die. In between, they make an awful mess. They destroy crops and lots of the other leafy vegetation. They crawl all over houses, and some get inside. “You’ll wake up and there’ll be one sitting on your forehead, looking at you,” says Ms. Moore. They swarm on roads, where cars turn them into slicks that can cause accidents. So many dead ones piled up on a highway last year that Elko County, Nev., called in snowplows to scrape them off. Squashed and dying crickets give off a sickening smell. “For us, it’s mostly the yuck factor,” says Ron Arthaud, a painter here. Including one another. Mormon crickets are programmed to march. Any cricket that falls by the wayside is eaten by others, ensuring that at least some cross the hot, barren stretches well-fed. Following an unseasonably warm winter, some in Elko County fear a big crop this year. the Archives of Never Yet Melted in the 'Nevada' Category.